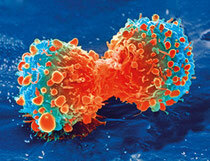 Costa Oncology Links (English) - Arturo Aboal Seijas. Oncología Médica en Marbella Málaga y la Costa del Sol. Here you will find info pertaining to centers in the Costa del Sol -mostly private ones, as I work in the private sector- that perform oncology care, in any of its variations: radiotherapy, surgical oncology or medical oncology. I expect to start shortly a space on people that treats cancer patientes in La Costa. And probably will include a page with links to relevant medical and oncology webpages.